Four years ago while in university, I picked up a lot of, lets say, random tips from my major. I was studying Agricultural Business and I could choose from many agricultural courses to study - quite obviously. I lucked out and got into some of the fun classes that were usually full, like Bee Keeping, Dairy Science and Viticulture, and it all counted towards my major! Pretty cool, I know. And the best part was actually learning a slew of useful tricks throughout my many courses in agriculture (I even took a Soil Science class!). Have any leftover pesto or sauce lying around after dinner? Don’t throw it out! Especially if you made it from scratch. You could scrape off the few leftover tablespoons and feed it to your dog or... you could fill up an ice cube tray and save it for later. Frozen pesto works great when sautéing veggies. Just plop it on the stove pan with olive oil and watch it melt into a normal sauce again. What about that mini-morning detox of lemon and warm water you always hear about? Well the main reason why I haven’t done this is because I lack the time to squeeze fresh lemon in my warm water every morning – that tends to fall short on my list of priorities. So I found a way around it. On Sunday nights I juice a few lemons and fill up an ice cube tray and come morning, I just pop it into a cup of warm water. Do you have some coconut/nut milk in the fridge about to go bad? This happens to me ALL the time. So I finally got smart and started pouring each into the trays for later use. 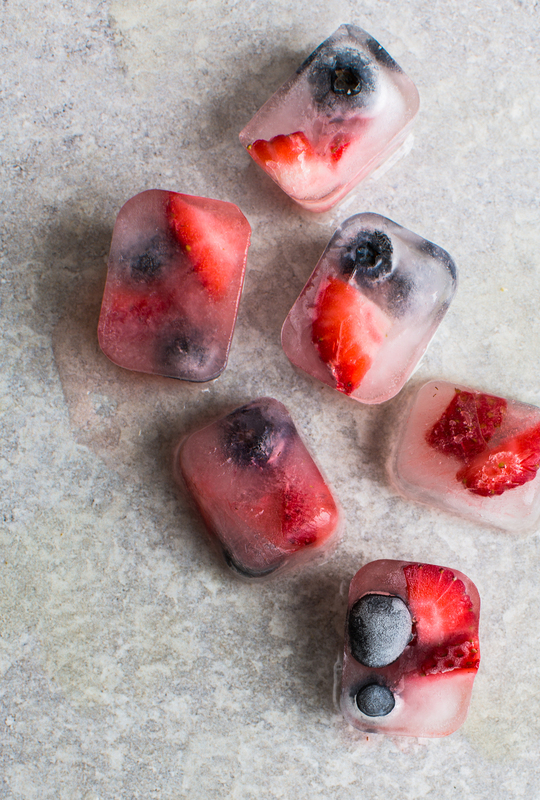 I love throwing them into a smoothie – since they’re frozen, it usually makes the smoothie a tad bit creamier. Have any fruit going off? I usually buy my fruit in bulk and find myself not being about to eat all of it. So I either freeze the rest in a zip lock bag for a later smoothie or I pop them into the tray and add a little water. Now you have yourself a beautifully infused beverage. ps: This looks great in sparkling water or cocktails if you’re hosting a party. The last tip couples with No. 1 and is a trick I use all the time. If you ever have fresh herbs that are about to go off (happens to me with every purchase of herbs), this is quite possibly the best trick for them – chop up the herbs and place them in the tray and fill it with olive oil. Now when you’re ready to sauté any veggies you just add a few herbed-oil cubes to the pan and watch it melt. I also like to drop in a few cubes as I’m boiling quinoa – always flavors the quinoa nicely. And there you have it – a quick way to save your food from going bad. 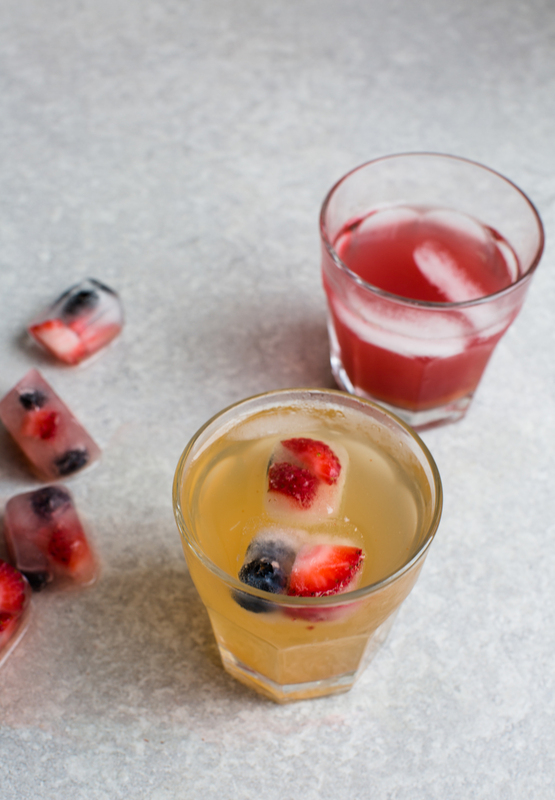 Who knew ice cube trays could be so versatile. Have you guys tried these tricks before? If you're ever in a hurry but still want to have a mini-morning detox, the frozen lemon cube + warm water trick will quickly help with that! And if you give these a try let me know how it goes! Leave a comment and tell me what you think. Your notes always help me improve the recipes and articles for you. I appreciate hearing what you guys would like to see more of - more recipes, lifestyle posts, photography advice - shoot me a message so I can get started!